As your small business is developed into large scale business by establishing numerous agencies and engaging in supplementary investments in a competitive way, it is essential to pay more consideration to the legal environment of the business, as well. Registrations, taxations, making contracts, banking and other transactions become more complex when your business expands and you may not be able to deal with the arising legal matters by your own. Therefore, the decision you make on hiring a lawyer is important and would be a crucial decision for your organization. It needs specific types of requirements and considerations as your decision on hiring a lawyer has a direct impact on your business. 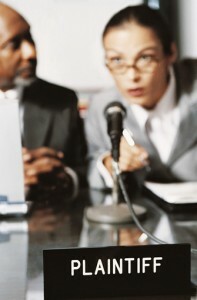 Thus, the following tips may make the short listing and the hiring of a lawyer a smooth ride. Ask for the qualifications and the skill: First search whether the lawyer has basic requirements to work as an attorney and whether there are any legal restrictions to have his service. The experience that the lawyer has may be the most trustful certificate about his skill. Therefore, you should interview the lawyer by asking profound questions about his/her previous experiences before taking the decision of the hiring. Specialization in commercial law: Sometimes the lawyer may have a very good reputation in handling criminal cases or divorce cases, but the experience of handling company cases might be limited. Thus, if you decide to select him due this reason, it may not be an ideal decision as the lawyer would not have any proficiency in the handling business matters. Therefore, you should select a person who is specialized in commercial law in order to get the maximum benefits for your company. Search for his social capacity: The lawyer that you hire for the company need to have a wide social network as the legal matters are constantly evolving with the social and political movements. Law is tightly bound with society and the lawyer should not be a socially isolated person and he needs to have powerful connections with other social organizations, which are related to business matters. Further, you should keep in mind if your lawyer has a lot of social contacts as it may adversely affect your business, since your business matters may be paid less concern due to his busy schedule. Select a dynamic person: The lawyer needs to be a component person in the company, while understanding the goals and objectives of your business. He should always act as a higher administrator than an employee who works for the salary. He should be a person who has the capacity to mingle with the staff in a higher sense of responsibility and he should regularly counsel the staff about the legal settings of the company. Outstanding performance in dispute management is an indispensible trait for a capable and a good lawyer. Discuss about the fee: On time fee, which is based on routine matters or the flat fee system, should be discussed with the lawyer. You should have a better understanding about the payments that are excluded and included in the flat fee. Further, the fee should be satisfactory and it would cause to obtain an effective service. If you follow the above listed steps in hiring a lawyer for your business, it may not be a complicated task and you will be able to handle the business matters systematically with the professional assistance of the lawyer. Another good tip is to ask other businesses about lawyers they have used in the past. You can also find contacts at business network groups and local chamber of commerce. We get referrals occasionally from businesses who have had personal injury claims in Scotland made against them.